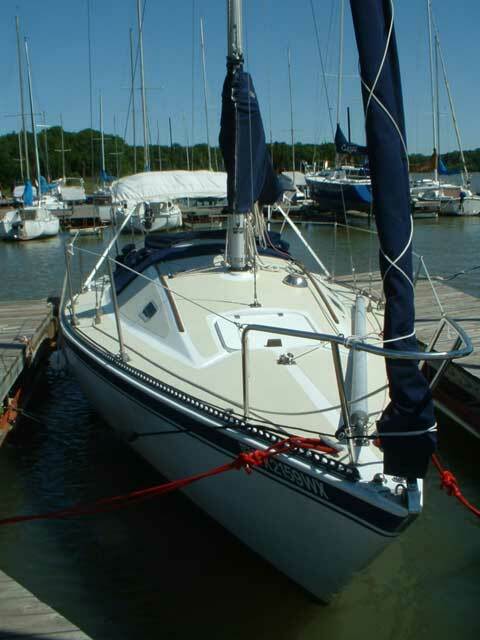 Excellent Condition, ready to race or cruise. Designed by Bruce Kirby and built by Clark Boat Company. 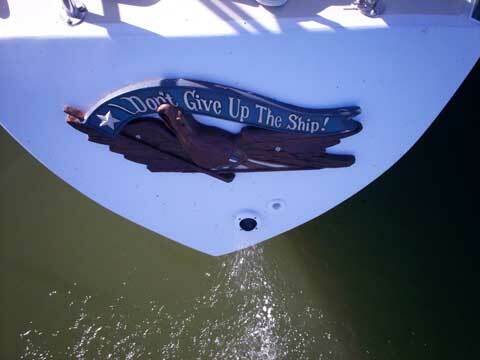 With its PHRF Rating of 168, this boat was fast and still can winning races today. Fresh water all its life. 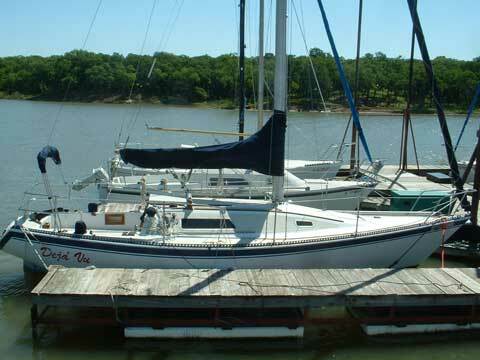 Length 30', Beam 10', Draft 5'-4", Displacement 7,200 lbs., Masthear Rigged, Fin Keel, Spade Rudder, Folding Prop, Tiller. Harken Roller Furling w/ Double Slide Head Foil. Sails: 2009 Somerset Main and 150% Roller Furling; older #2 Genoa in good condition; excellant Tri Radial Spinnaker; good Storm Jib. Two 2-Speed Winches (Genoa), plus two 1-Speed Winches (Haylards, Spinnaker, etc.). All lines lead to cockpit. Six Spinlock Power Clutches. Harken Main Sheet Traveler mounted on Bridge over coach. Bulkhead mounted Navman Knot Meter & Depth Sounder. Compass. Windex. New Life Lines (2011). All Standing and Running Rigging in great condition, or new. 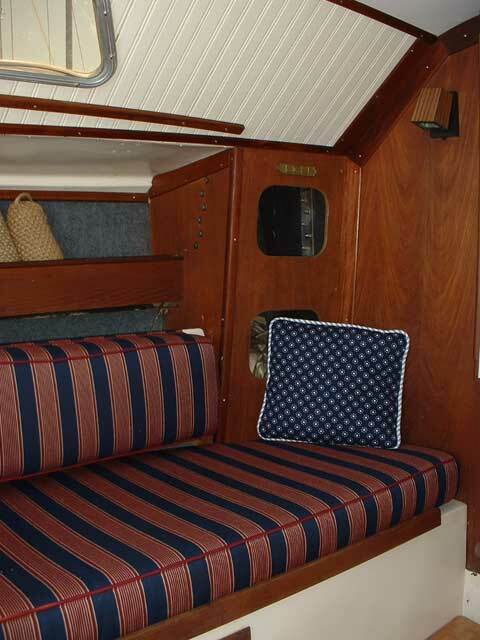 Sunbrella Main Sail Cover, Cabin Cover, Bimini with boot, and Winch Covers. Also has Sunbrella Cockpit Sun Cover. 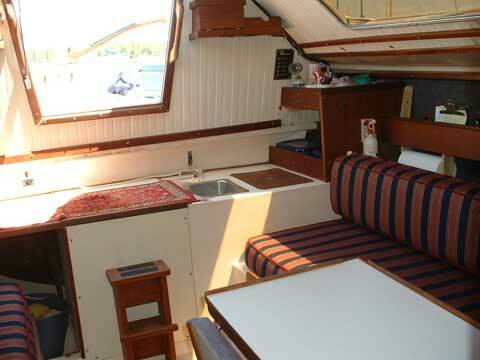 Cabin: 4 Berths with new uphostery cushions (2010), retractable Galley Table, 2 Sinks, new Porty Pottie, Microwave, Ice Box, several Storage Drawers and Cabinets. Electrical: 115v Grounded Outlets on board, Aux power oputlets, VHF Radio, Elect Bilge pump, Automatic Battery Tender, Volt Meter, HD Battery new in 2011. AM/FM/CD Player w/ Cabin Speakers. Safety Equipment: Throwable Life Sling, Six Adult PDFs, 1st Aid Kit, Flare Gun, horn. Extras: Tiller extension, 2 winch handles, Wind Scoop, Dock Pole, Fenders and Dock Lines. A 12' x 28' Floating Slip is also available for ownership for $1,200. MUST BECOME A DCYC MEMBER. This is a well maintained and equiped Racer/Cruiser!!! Offered for sale at $12,500, or best offer over $11,000. 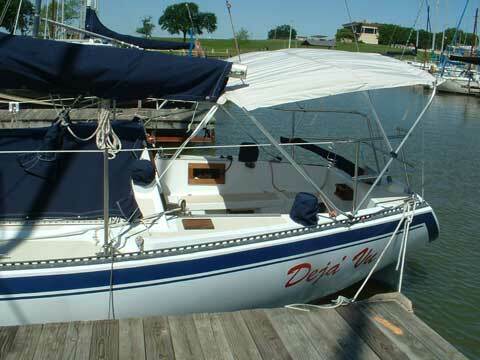 It's presently located on Lake Lewisville, n or Dallas, Texas. Call Emmett to preview this Beauty.